"There are just so many out there who play the victim and cry out for help even though they caused their problems themselves. Informal settlers (previously called squatters) who occupy land illegally or without permission, yet demand a replacement property when the real owners want to use the land. They lived there for several years for free and still want to get paid for trespassing? Tenants who refuse to pay rent because there's a law that protects them for a few months when delayed of payments. Landlords could only act after a certain time against non-payment, but already causes unwanted stress and anxiety to the owners. We would prefer an empty apartment rather than have pests living in it. Media who could not accept that the government found out they broke the law, then cry for "press freedom being suppressed" when finally penalized for the act. It's a different scenario if there's more media being threatened, but that we are yet to see. Media does not only revolve within just one media outfit, right? So stop feeling special and just comply to what the law requires so you could get back to making our lives feel miserable. As part of President Duterte’s directive to develop a resilient energy sector, the Department of Energy (DOE) Secretary Alfonso G. Cusi yesterday signed the Energy Resiliency Policy entitled “Adoption of Energy Resiliency in the Planning and Programming of the Energy Sector to Mitigate Potential Impacts of Disasters”. Secretary Cusi said the Energy Resiliency Policy will aid industry partners to plan and address potential impacts of disasters since the Philippines is one of the most vulnerable countries to disasters. The Energy Resiliency Policy revolves around four principles: (1) strengthen existing infrastructure facilities; (2) implement the Build Back Better principle in terms of reconstruction and rehabilitation; (3) improve existing operational, maintenance and practices to ensure continuous operations and energy supply; and (4) develop resiliency standards that will be used as basis in the future construction of energy facilities. “These principles are geared towards mainstreaming disaster risk reduction to ensure energy resiliency as a priority to protect the people,” Cusi said. One of the key features of the policy is the institutionalization of the Resiliency Compliance Plan, which provides engineering and non-engineering measures to ensure infrastructure and human resource disaster preparedness. “Through this policy, we enjoin all the energy stakeholders to put upfront disaster risk reduction programs into their respective planning and investments,” Cusi pointed out. To oversee the implementation of the policy, the DOE is strengthening the Inter-agency Task Force on Securing Energy Facilities through the creation of the Task Force on Energy Resiliency. The Task Force is composed of representatives from the National Electrification Administration (NEA), National Grid Corporation of the Philippines (NGCP), National Power Corporation (NPC), National Transmission Corporation (TransCo), Philippine National Oil Company (PNOC), Power Sector Assets and Liabilities Management Corporation (PSALM). The Task Force will continue its partnership with the Armed Forces of the Philippines, Philippine National Police and the other agencies under the Department of National Defense. The Energy Resiliency Policy is anchored on President Duterte’s directive to improve the resiliency of the country. Mapúa, the premiere engineering school in the country, will be having its 93rd Foundation Week themed “Unity in Diversity” on January 22-27, 2018. This momentous week will feature various activities including the Parade of Excellence, Don Tomas Cup, activities from Student Organizations, exhibits, seminars, contests and the much-celebrated Mr. and Ms. Cardinals. All the students and staff are invited to participate in the weeklong activities to usher in the new year of Discipline, Excellence, Commitment, Integrity, Relevance. 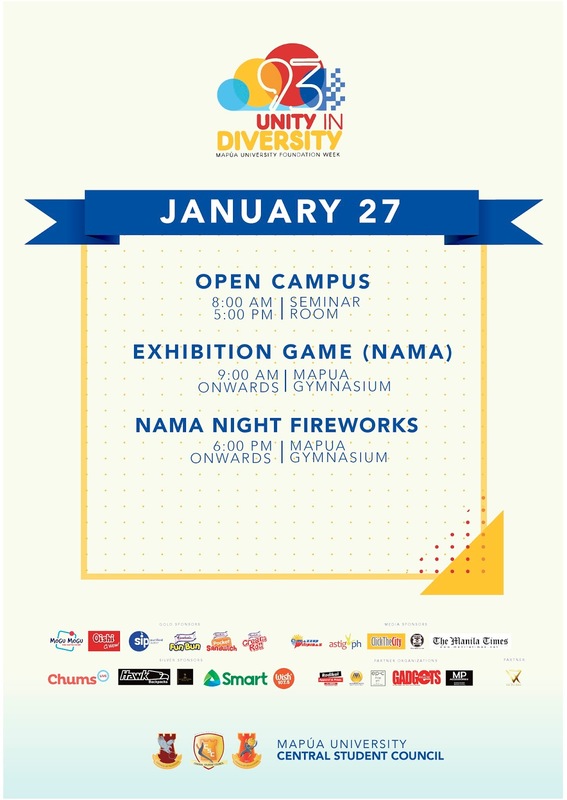 It is indeed a celebration for all the success of Mapúa and a stepping stone towards world-class state of the art research, development and innovation." At a media thanksgiving, we were once asked to write on a piece of paper one word that clearly defines us ... but it should also start with the first letter of our name. I wrote "restless" since my name starts with an "R"
My real friends would know why and will agree that it is very appropriate. No rest for the wicked! I keep saying to myself that I will rest only when I'm six feet under, or ashes in a jar. That's why I always feel like I have all the energy to boost everything about me - including my confidence. You could see me so confident that others perceive my aggressive behavior as arrogance. I can't blame them because not too many would dare declare themselves as the Pambansang Blogger ng Pilipinas - even if it was originally intended as a joke. However, having that title pushed me to exert extra effort towards a nationalistic goal so that I could leave this world a legacy worth remembering. Our life is a continuous and never-ending story that only ends when we are finally laid to rest. While living, we do pause every now and then, but there should always be something bothering us which keeps us waking up very early to start our day. What should bother us? When other people are not bothered by what's happening around us. Sadly, when a considerable amount of time has passed and we still could never cure the problems we encounter, we give up and dismiss them already as unsolvable and now common and natural occurences. We often go with the mindset of the many no matter how mindlessly passive we become especially when it is now widely accepted as an everyday scene. We feel better if we go with the majority to avoid conflict even if it means suppresing our voices. Not too many wishes to stand out as too weird or crazy in fear that others would ridicule us. Thus we avoid those who would seem to cause trouble for us, as we try to silently go with the flow, rarely against it. In a nation that sees us as peculiar when we don't meet their standards or expectations, we are branded as nuisances to a systematically arranged existence they impose on the majority. We should never follow the same path as we are all genuinely unique. We don't realize that we lose our real selves when we stray away from what we believe in. Life becomes meaningless if we are living a life dictated by others. Find ourselves again before it's too late! Find a reason to wake up early to give our existence a worthwhile purpose! Now that some bloggers have shown us that it's possible to get exposure from traditional media just by forming a group to campaign against a common but highly controversial cause, should we all band together as well for the other bigger and more significant issues, many of which also tackles foreign interventions? 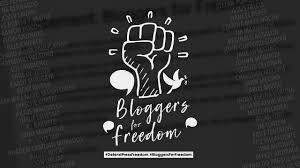 Many of these #BloggersForFreedom also work or contribute for traditional media thus it is not surprising that their statement was carried, but also because the Rappler issue is a hot one at the moment. Media people gobble up these kind of stories to attract readers because at the end of the day, media outfits still want to pamper their readers with the latest update, or gossip, and readership translates to earning a bigger profit. Also, this news is just too good to miss, and an opportunity to counter an impending war against media outfits like Rappler. But who are really the destabilizers in this story? Is it the government who strongly reacts against hateful news about them, or is it media who always never misses to highlight the negatives and shortcomings of the government? If we apply it in a bloggers community setting, everytime a blogger rants against fellow bloggers, the community suffers for people, unaware of all sides of the story, would think the blogging community is divided and chaotic. Thus any news about an erring blogger somehow affects the outlook of outsiders towards the community, and even fellow bloggers could get influenced, and some of the restless would join in on the bandwagon of hate. Similarly, when media, or bloggers, keep on sharing news in a negative light without giving the original and real intention a chance, they ultimately cloud the vision of others towards the government where not everyone is as foul-mouthed and irrational as the President. These would eventually create nothing but a doubtful nation. When people voted for their leaders, it is assumed they also gave their trust for them to act in accordance to what would serve the people better regardless if it is the most popular choice. They were authorized to manage the country for now, so it's hard to do their job if critics keep on pestering their every move even when it has not been implemented yet. Needless to say, we've witnessed so many forms of corruption among givernment officials from top to bottom. But is it safe to also say that every administration had their own share of critics that were never satisfied of their actions. There would always be some group out there who would rally, oppose, and rant against the government no matter who sits as President. Bloggers for Freedom? Malacanang Now Knows Who Are Against Them! We came across a very vague statement from a group of bloggers led by personalities known to be critics in the political arena. They present a statement with no background details about the issues to guide those unaware of what's happening in the Philippines, particularly the conflict between an online publication and the government. The online publication says their freedom is beibg suppressed by the malicious tactics of the current administration and even pinpoints President Duterte as their main oppressor. Meanwhile, both the government agency and Malacanang denies they are conspiring to bring the online publication down. Do you agree to what these bloggers say? They say they "stand against moves to silence and scare journalists, bloggers and media practitioners just because the President and his ardent supporters dislike their news and views." But is the President really behind the move of the Securities and Exchange Commission (SEC) to shut down Rappler because of an unlawful clause in their PDR with Omidyar Network that supposedly violates the constitution? Does it mean the people behind SEC are to be questioned as well for following the dictate of Malacanang? Or whoever asked them to check on Rappler? Is the administration really aiming to shut down one by one the media outfits that are too critical of him? Well, now Malacanang knows who are against them....but crying out for "the rights to free expression and to free speech" as their defense. However, could Rappler just remove the controversial "clause" in their PDR with Omidyar Network so the SEC could let them function again? Is it that easy, or too complicated to comprehend so I should just shut up and let them cry all over social media. Until now we do not even know who are the real owners of Rappler aside from Maria Ressa. Their statements on their site are equally vague and lacks the information we need to justify their counter against the accusations thrown at them. 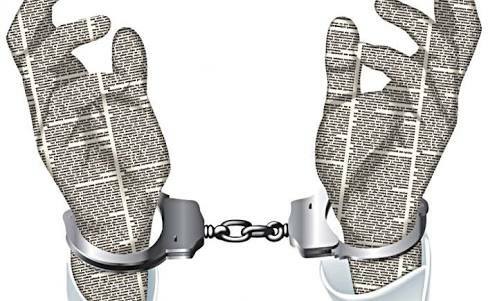 After all, not even media, or bloggers, should be above the law, regardless of how they push their defense as free press with not influence by their investors, would you agree that foreigners should have control over our media outfits? The drama unfolds. Is it better than our teleseryes? I know most of the bloggers that signed up on the list, but there are a larger number of bloggers out there that are not among them. Most of them are indeed critics of the administration if you'll read their newsfeeds. Well, I guess they do have the right to express themselves. But they should also not prevent or contradict others who also openly express their opinions, whether pro-admin or not. They should not try to badmouth other bloggers that do not belong to their group, or whom they believe is against their envisioned reality of how bloggers should act, talk, write or behave, so that everyone could indeed have the freedom they are fighting for. Sadly, some of these bloggers are the ones who rant against their fellow bloggers for ulterior motives that are only beneficial to themselves and their group. They would even make fun of other bloggers who do not meet their expectations, and conspire to destroy them. Praying that they be enlightened. Celebrate the season of hearts at Makati Diamond Residences. Stay at a 64sqm One Bedroom Suite for ₱8,500 net per night or at 41sqm Studio for ₱6,500 net per night. 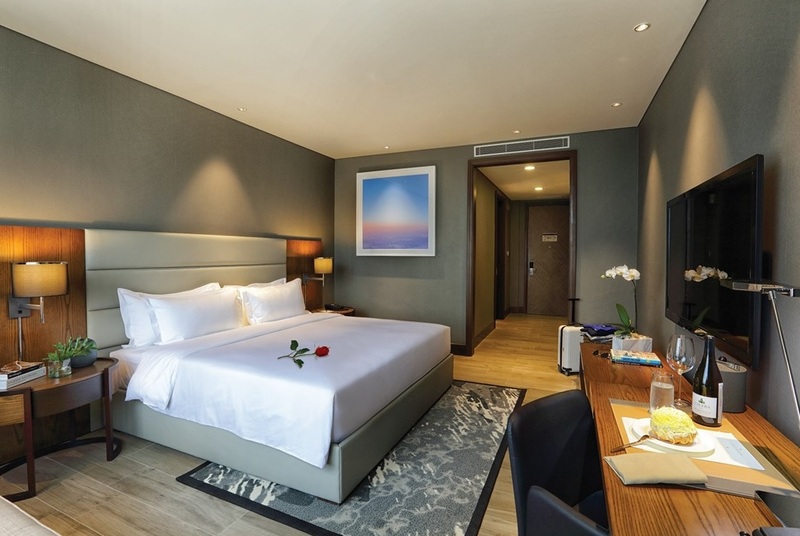 Both room packages include breakfast for two, complimentary mini bar, complimentary Wi-Fi and local city calls. Access the health club amenities, including the 24-hour gym, daily TRX classes at the TRX studio, and an indoor lap pool. Make your stay even more memorable by booking an in-room Swedish massage for 2 for an additional ₱3,000. Get the privilege of a 20% discount on the Valentine’s Day Buffet at Alfred. The Suite Retreat room package is available from February 1 to 28, 2018. This offer is exclusive to local residents and foreigners with ACR I-Card certification. Book your stay today and call (02) 317-0999 or email reservations@makatidiamond.com. The Wellness Center also offers a Couple’s Massage package for the Valentine’s season. Visit www.makatidiamond.com for complete details and other hotel offers. Makati Diamond Residences is located at 118 Legazpi Street, Legazpi Village, Makati City 1229. 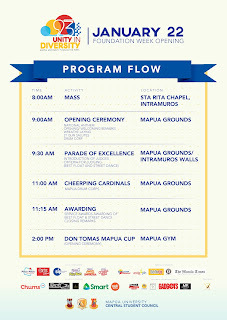 For more information, contact +63 2 317 0999 or visit www.makatidiamond.com or email reservations@makatidiamond.com. Check facebook.com/MakatiDiamondResidences or follow @makatidiamondresidences on Instagram for more updates. The Philippine Ports Authority (PPA) posted a 16% hike in its net income in the January to November 2017 period despite starting the year on a conservative mood. PPA was able to achieve the feat through its sound financial condition and strong Philippine economic status despite having some concerns with the Philippine peso the entire year. Latest data from the PPA showed that net income for the period in review reached P8.310 billion or some 16% higher than the P7.164 billion posted a year earlier. The actual figure also eclipsed the forecasted net income of P5.983 billion for the period by P2.326 billion or 38.87%. PPA General Manager Jay Daniel R. Santiago is ecstatic about the prospect of ending the agency’s fiscal year way above the red line despite forecasting to at best flat growth for 2017 due to concerns clouting the mining industry and the volatile foreign exchange rates. 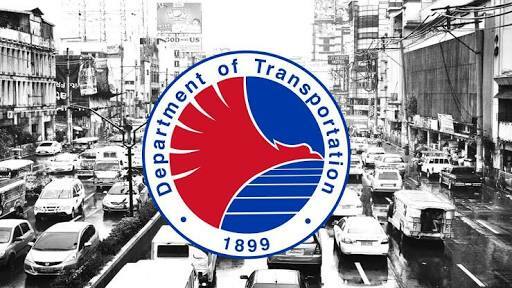 “The performance of the PPA is way above expectation as we were able to eclipse almost all forecasted levels of the financial facet of the agency,” Santiago said. “We expect an even bigger margin when our December figures start to come in. Not only for December but for the entire 2017 considering that we overshoot our targets by at least 10% every month until the end of November,” Santiago explained. Total revenues during the 11-month period, meanwhile, grew by 6.71% to P13.846 billion from P12.976 billion collected in the same period in 2016. Port revenue went up by 6.61% to P13.754 billion from P12.901 billion due primarily to increase in volume of traffic at the ports as well as the adjustment in foreign exchange rates. The top five revenue earners are NCR South, Batangas, Davao, Bataan/Aurora, and Surigao. Fund Management Income (FMI), on the other hand, increased by 22.92% to P91.99 million from P74.84 million for the same period in 2016 anchored on the purchase of a P500 million Treasury Bills, which, in effect, increased the volume of investments funds of the PPA. This facilitated the revamp in earnings and counterweighed the fluctuations in prevailing interest rates on special and high-yield savings deposits and economic uncertainties. Total expenditures for the period in review fell by 4.73% to P5.537 billion from P5.811 billion in 2016 wherein Operating Expenses amounted to P5.398 billion, down 5% from P5.657 billion a year earlier. Non-operating expenses likewise went down by 9.9% to P139.02 million for the period in review from P154.30 million a year earlier. “This performance exhibits an overall healthy financial condition with indications of strong ability to service obligations and long-term financial security,” Santiago stressed. “The agency will continue to work harder in 2018 to improve its revenues that will eventually translate to better and efficient ports and services for the public in the short- and long-terms,” Santiago added. Should You Outsource SEO Functions or Do it on Your Own? If you own an online business, you need to decide what service provider to choose for SEO work. The recent trend is about outsourcing SEO work to the offshore providers and all businesses are faced with the same question - whether to outsource or not. It is beneficial to companies and businesses, although there are businesses that find it difficult to outsource SEO and feel a lack of confidence. The chief merit of outsourcing is high-quality work at cost-effective rates. 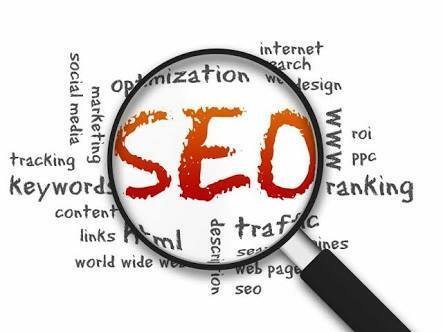 The SEO results that you are going to get with the help of knowledgeable experts will be outstanding. You will be able to tap into the expertise of SEO professionals and run your business in a better manner while experiencing great results. On the other hand, the cost that will be incurred will be quite low. You may move to an overseas company to save further. Overseas companies offer efficient services, yet charge less. Do not think that if the services are outsourced offshore, the results will be bad. These service providers will give you much better results and help your website to rank higher. By outsourcing to a firm, such as SandCrestSEO, you are actually hiring someone who has the talent in it and is learned in the matter. The professional will get good results in a quick manner. There is no need to have an in-house team of SEO providers for the SEO work. You simply have to focus on your business and need not bother about site optimization. If you want to run your online business in a successful manner, you can hire a team of professionals and outsource the task. A good service provider can help your website to make it to the top 5 on search engine result pages. The best part is that such outstanding results may be attained by expending just a few hundred dollars. Do I wish for amazing SEO results? Do I want my site to make it to the top at the earliest? Do I wish for outstanding results at low prices? If the answer to all the above questions is ‘yes’, you may opt for a professional company to outsource the service. Choose only an experienced company for site optimization work. Businesses all across the globe want to outsource SEO, as it is convenient and hassle-free. Keeping your own in-house team of SEO providers is difficult, as you have to pay salary and train the experts from time-to-time. To avoid such things, you may outsource the work. 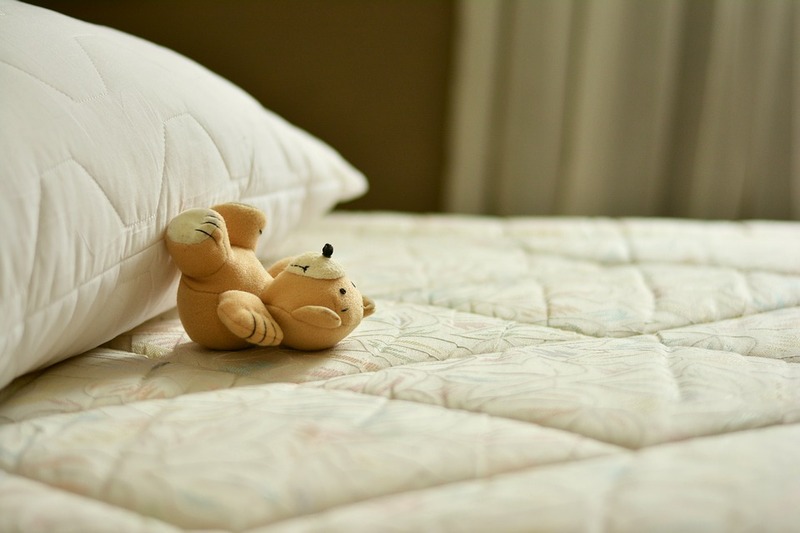 Get the Best Mattress within Your Budget - How Should You Proceed? When you are shopping for your new home, some of the elemental things have to be invested, and these are often one time investments. One such item is the mattress for your bed. There are different types of mattresses which are available, and you can easily make a choice depending on several factors like your material preference, the budget, the size of the mattress and any health issues that you may have which can lead to trouble sleeping. Here we are going to share some tips which would help you shop for a mattress and find the best and at the same time ensure that you can maintain a budget. Also, we suggest checking out Top Cheapest Mattresses (Affordable & Budget Friendly) guide to help you understand what to look for. But first, make sure you read our below tips! There are different discounts vouchers which are available online as well as at the stores. You can easily get them from the respective brands and at online websites which are mainly meant for such coupons and vouchers. These vouchers make it easier to find the right product within your budget and get the perfect value for the money you pay. You can rest assured that you do not have to compromise on the quality that you are getting from the store. There are different qualities of the mattresses, and you can easily make the right choice when your budget restraint is manageable. Some people have troubles with bone and postures which are triggered when you are sleeping in the wrong position, or the quality of the mattress is not good enough. If you have any such health issues, the mattress must be chosen accordingly. The memory foam talk is the perfect mattress for addressing troubles with sleeping posture and bone and joint pain issues. The quality of this mattress is superior to most, and this is the ideal value for the money that you are paying for it. Before you go to the store for buying the mattress, make sure that you have done your own study well so that you have a fair idea about the price of the different kinds of mattresses. It will help you make your choice and take the right decisions wisely. 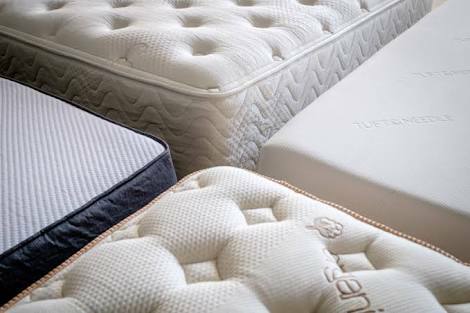 There are various types of mattresses, in different shapes, sizes and materials which different features and the prices vary accordingly. Make sure that you have a thorough idea about the standard price range for every type of mattress that is there and then goes to the store so that you can do your shopping without any hassle. Making a choice is essential to ensure that your mattress is suitable enough for your health condition as well as for your home. Why Should You Opt for Digital Menu Board for Your Restaurant? When it comes to the hospitality business, there are several types of innovative ideas which are in vogue these days. The hospitality business is a popular and profitable business which you can opt for, and if you are looking for marketing for your business, then the digital methods are beneficial to get more and more customers indeed. 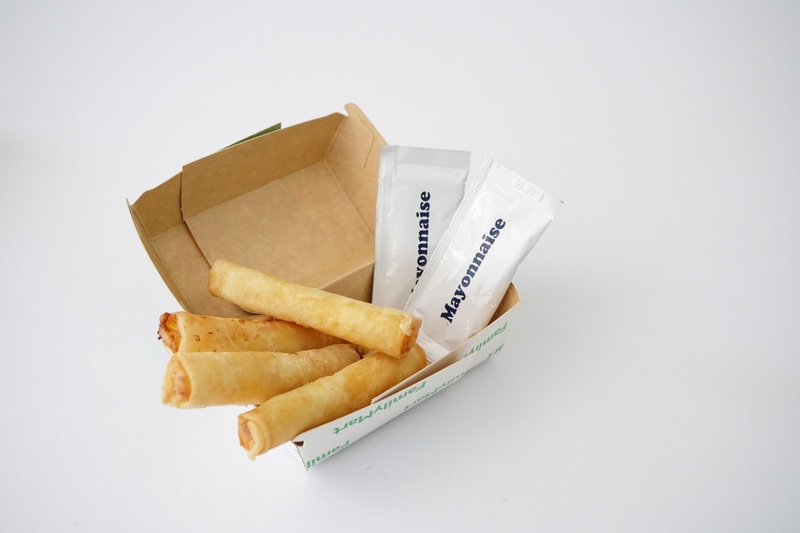 The ambiance of the place along with the quality of the food altogether decides the prosperity of the business. There are different ways in which you can decorate the area and add to the ambiance of the place with the help of the various decorative props. One of the best choices for brightening up the ambiance of the place is the digital menu board. The digital menu board is versatile and can be put to various uses as well. There are several things which are essential today in the hospitality business, and one of the major solutions that you have for the restaurant business and its ambiance is the digital menu board. The menu board is a very versatile screen that you have at your restaurant, and there are several reasons why you should opt for the digital menu board. Here we are going to point out some of the reasons why you must choose for the digital menu board and how it can be beneficial for you. 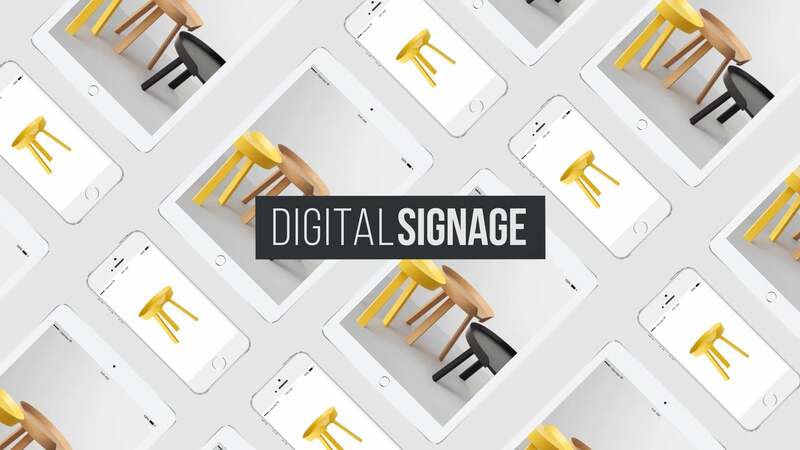 There are different types of works which can be done with the digital menu board, and you can actually ensure that your restaurant gets a makeover with the help of this kind of props. The overall ambiance of the place is essential, and hence the decisions related to the business and its maintenance should be taken such that it adds to the ambiance of the place. 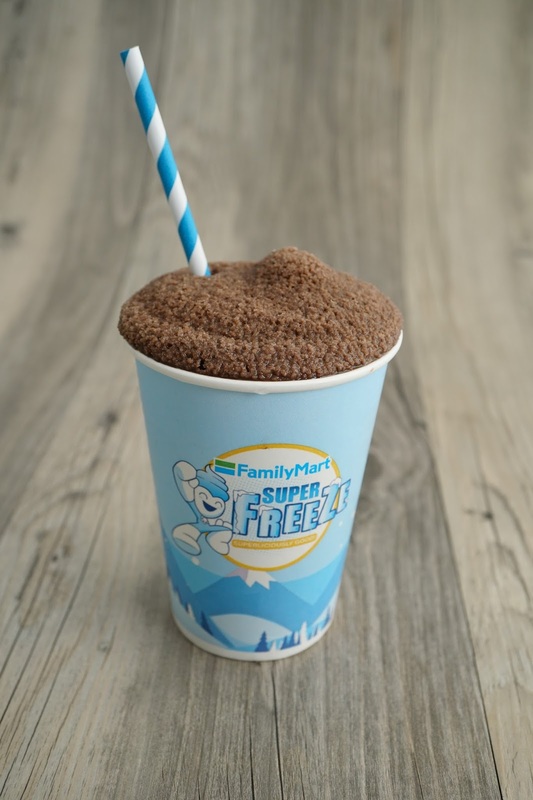 The digital menu boards have the pictures of the food items which are available here, and the customers who come here can place the order easily by viewing the menu board. 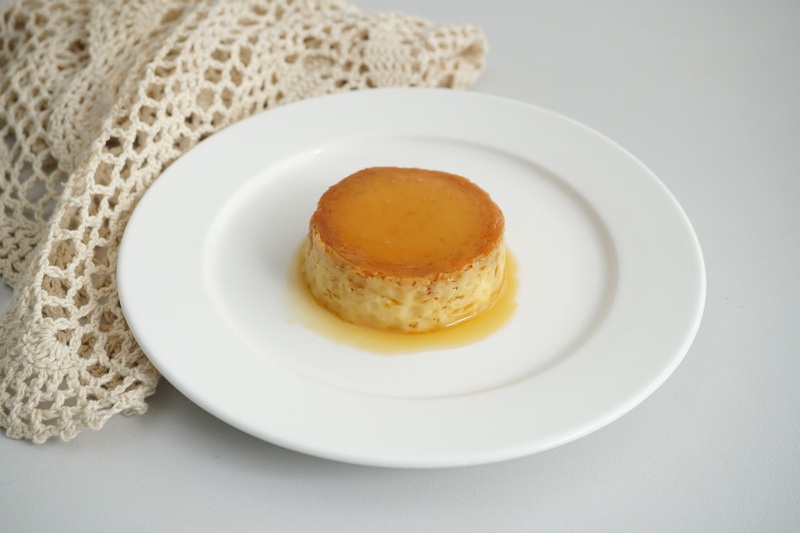 There are different things which you can have at your restaurant, and if your restaurant or café attracts people who are foreign to the items which are available here, then you would have to manage the service by providing them images so that they can have an idea of what they can expect on placing the order. The board has menu cards which are designed such that the picture of the item is showed alongside the name and price of the item as well. It also adds to the color and brightness of the menu card and hence imparts a pleasant ambiance to the place. The board is bright and big, and hence it can alter the overall ambiance of the place as well. There are different types of lighting and ambiance for a café, but with the digital menu board, you can add some color and light to the place. There are different shapes and sizes of the digital board and depending on the overall space that you have and the necessity the choice should be made accordingly. The bright and beautiful look of the board makes it a perfect choice for ensuring that it uplifts the overall ambiance of the restaurant. The variety of themes and backlighting for the boards make it very varied and depending on the overall décor, the settings of the board should be done accordingly. There are different ways in which you can set the menu templates, and this is the best option that you have for complimenting the décor and ensuring that the customers are able to get c complete view of the board from their respective seats. Depending on how it is being positioned, the customers can easily see the menu from their respective seats. There are different ways in which you can manage the self-service system of a restaurant, and the menu board is one of the best options there is. The customers would be able to see and decide their order from the seats and then come up and just place the order at the counter and go back. This way the entire system would be very hassle-free and neat, and there would be no chance of confusion with the order that is being placed. Also, it is bright and hence easy to see from any corner of the restaurant, and you can easily ensure that you get a good view provided the board is set up right in a position suitable for viewing for all the customers. If there is any exciting match or a significant new that your customers are likely to wish to view, then you can easily use the board as a television as well. The customers can be showed news, sports, or any entertainment shows as per their demand. The quality of the image and the size of the screen altogether make it a perfect option for ensuring that your customers are happy with the service and are able to see what they want on the screen. It would attract more and more people as well on special occasions when they can hang out for hours and view what they want on the screen. It would mean you will get more orders as well. There are different types of use to which you can put the digital menu board. It can be concluded that the various purposes to which the board can be used are beneficial and hence you can reap the maximum use out of it. There are different ways in which the board can serve all your needs, and you can easily use it to your advantage. Authorbio: Karen is a Business Tech Analyst. She is very responsible towards her job. She loves to share her knowledge and experience with her friends and colleagues. To mark the end of Ballet Philipines' 48th season,come and watch DON QUIXOTE from February 9 -18, 2018 at the CCP Tanghalang Nicanor Abelardo. Taken from an episode of Miguel de Cervantes’ tale, the ballet follows the lofty adventures of Don Quixote into Barcelona. Here, he meets Kitri, an innkeeper’s daughter whom he thinks is his ladylove Dulcinea. Kitri, in turn, is enamored by Basilio, the poor local barber of whom her father doesn’t approve. Mayhem ensues as the gentleman from La Mancha unwittingly helps the two lovers have their happy ending. Don Quixote is the perfect show for those watching ballet for the first time. A light and fun story, it is ballet’s rom-com. A special treat that audiences will delight in is international Guest Artist Joseph Gatti, who will perform on special gala nights. Mr. Gatti is a former principal dancer with Cincinnati Ballet and Corella Ballet. The winner of various prestigious international ballet competitions including the New York International Ballet Competition and World Ballet Competition, Mr. Gatti has been invited to perform as a guest principal artist in companies and in international ballet galas in the USA, South America, Japan, Europe and Russia. He will partner BP’s resident guest artist Candice Adea while the Manila Symphony Orchestra will play live, conducted by Jeffrey Solares. The regisseur (restager) of the ballet is Adam Sage, who returns to BP as its Associate Artistic Director and Ballet Master. Mr. Sage has performed, taught, coached and choreographed in four continents for nearly three decades. After his stint with BP in 1981 to 1983, he danced with Ballet West, Ballet Memphis, Hong Kong Ballet, and National Dance Company of Boputhatswana in South Africa. He also founded and served as artistic director of Missouri Ballet Theatre. 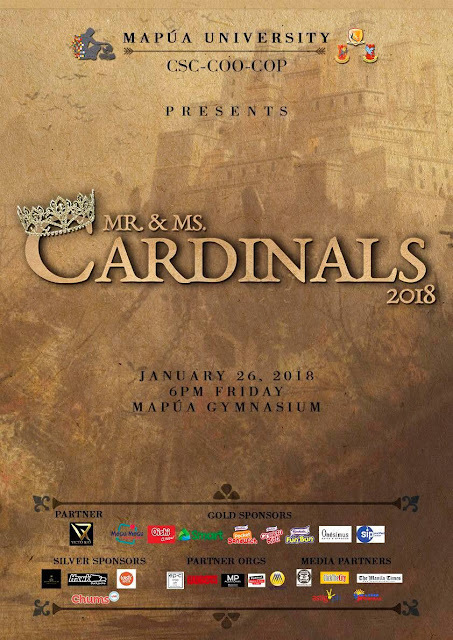 Aside from Mr. Gatti and Ms. Adea, the principal roles of Kitri and Basilio will be portrayed by BP company members Jemima Reyes, Monica Gana, Victor Maguad and Ian Ocampo. 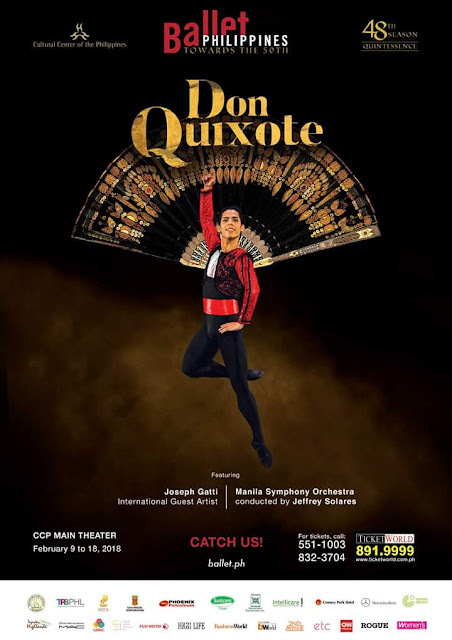 Catch this very special run of Don Quixote on February 9-18, 2018 at the CCP Main Theater. Special Gala Nights with Mr. Gatti and the MSO are on February 9, 8pm and February 10, 7pm. For tickets, call Ballet Philippines at (+632) 551-1003, the CCP Box Office at (+632) 832-3704, or Ticketworld at (+632) 891-9999 or go to Ticketworld.com.ph. The Sandbox Collective and 9 Works Theatrical shall present HIMALA - ISANG MUSIKAL from Feb. 10 - Mar. 4 at Power Mac Center Spotlight, Circuit City. Adapted from the original film written by Ricky Lee, Himala - Isang Musikal tells the tale of the townsfolk of Cupang, a rural barrio in a barren landscape cursed with drought. A glimmer of hope appears in Elsa, a young girl who claims to have the power to heal after seeing a vision of the Blessed Virgin Mary. News of her miracles spread far and wide, drawing the ill and the curious to what was once a sleepy town. As events unravel, the community’s fractured moral foundations and collective spiritual deprivation surface, all until the chaos escalates past a point of no return. Elsa, the enigmatic maiden-turned faith healer will be played by Aliw Awardee Aicelle Santos. Nimia, Elsa’s childhood friend will be played by Kakki Teodoro. Chayong, Elsa’s right-hand woman will be played by Neomi Gonzales. Pilo, Chayong’s former lover will be played by Sandino Martin. Orly, a filmmaker from Manila who comes to Cupang to document the events will be played by David Ezra. Bituin Escalante (Nanay Saling), Floyd Tena (priest), Omar Uddin, Jenny Villegas, Glenda Liao, Cristy Peredo, Matel Patayon, Sigrid Balbas, Hazel Maranan, Raflesia Bravo, Roxy Aldiosa, EJ Pepito, Joshua Cabiladas, Kits Falcis, Roby Malubay, Gary Junsay, Mano Domingo, Neil Tolentino, Eizel Marcelo, Jasper Jimenez, Onyl Torres, Chuck Hipol, Ivan Panganiban, Alfritz Blanche, Ronna Gubba, Nel Gumalog, Katreen Dela Cruz, CK Manlili, Anjanette Vargas, Hannah Grefaroa, Joshua Isidera, Nhoel Obsequio and Andrew Estacio. 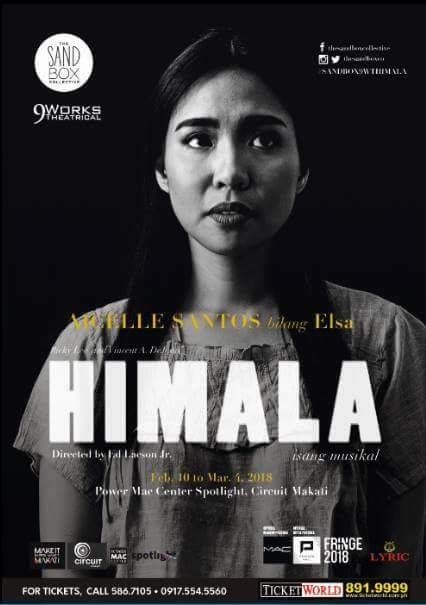 Himala: Isang Musikal is an original musical with book and lyrics by Ricky Lee, and music and lyrics by Vincent De Jesus, with direction and set design by Ed Lacson Jr., musical arrangement by Joed Balsamo, lighting design by Barbie Tan-Tiongco and costume design by Carlo Pagunaling. 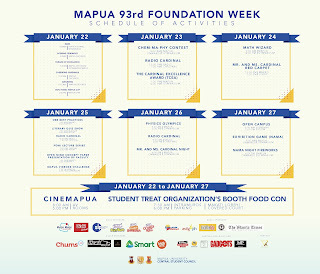 The production team are as follows: executive producer Santi Santamaria, Anna Santamaria as operations director, Sab Jose as Marketing & PR director, Erwin Romulo as creative consultant, Maine Manalansan as design director, Jonjon Martin as PR manager, Perky Parong as production manager and Pat Gascon as stage manager. A MUST-NOT-MISS THEATER TREAT !!!!! 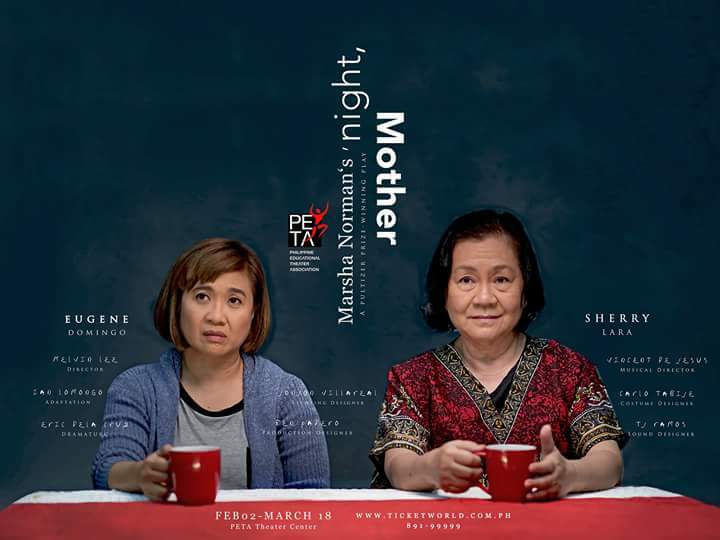 To end its 50th season, Philippine Educational Theater Association (PETA) proudly presents "Night Mother" - a Filipino adaptation of Marsha Norman’s Pulitzer Prize-winning drama adapted by Ian Lomogo under the direction of Melvin Lee. ‘‘Night, Mother is a taut and fluid drama by one of America's most talented playwrights. It won the Dramatists Guild's prestigious Hull-Warriner Award, four Tony nominations, the Susan Smith Blackburn Prize, an the Pulitzer Prize in 1983. It had its world premiere at the American Repertory Theater in Cambridge, Massachusetts, in December 1982. It opened on Broadway in March 1983, directed by Tom Moore and starring Anne Pitoniak and Kathy Bates; a film version, starring Anne Bancroft and Sissy Spacek, was released in 1986. "Night, Mother" shall feature Eugene Domingo, who is returning to the theater scene after a five-year hiatus, along with veteran actress Sherry Lara. Domingo performs the role of Jessie, a divorced woman suffering from epilepsy who reveals to her mother Thelma (essayed by Lara) of her plans to end her life that very evening. Over the course of 90 minutes, which happens in real time, audiences are kept glued to their seats as Thelma desperately convinces her daughter that life is still worth living. Director Melvin Lee says that despite it being written and produced back in the 80s, ‘Night, Mother' remains to be relevant today, as a thought-provoking play that touches on the universal human concerns of family relationships, isolation, alienation and loneliness. He further notes that ‘Night, Mother talks about issues such as conventional thinking versus new age thinking, and the questioning of the norms of the typical Filipino. It also brings forth many issues that are rarely talked about, issues that are still considered taboo and shrouded in shame like family dysfunction, mental health and suicide. ‘Night, Mother' runs from February 2 to March 18, 2018 at the PETA Theater Center, No. 5 Eymard Drive, New Manila, Quezon City. Call TicketWorld at 891-9999 www.ticketworld.com.ph. This is to warn the public against individuals claiming to be Department of Transportation (DOTr) Secretary Arthur Tugade, and soliciting money allegedly for the benefit of residents affected by the Mayon volcano eruption. An unidentified man purporting to be Sec. Tugade called up the Area 8 office of the Civil Aviation Authority of the Philippines (CAAP) in Tacloban this morning, and inquired about airport projects in the region. The caller also asked for the names of project contractors, and said he will solicit PhP 1-Million from them allegedly to aid affected residents in Albay. Please be warned that the DOTr and its attached agencies and offices has not authorized any person or group to solicit money from the public to fund calamity-stricken areas, its projects, and campaigns. Further, please be informed that Secretary Tugade does not approve solicitation of this nature in any way, form, opportunity and manner, as the same is considered illegal and unlawful. The National Human Rights Committee (NHRC) welcomed the report submitted by the UN technical mission from the Office of the High Commissioner for Human Rights (OHCHR) which visited Doha between Nov. 17 and 24. The visit took place to investigate the repercussions of the siege on the human right practices and the humanitarian situation of the citizens, residents and GCC citizens who stay in Qatar. 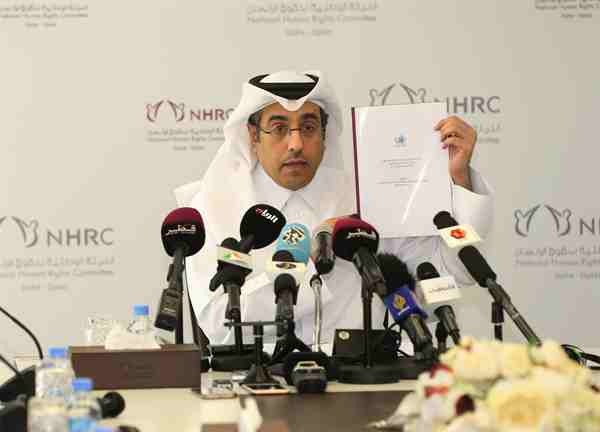 NHRC Chairman Dr. Ali bin Smaikh Al Marri praised the results of the report despite of some observations concerning the statistics of the affected Qataris due to the measures taken by the siege countries, in addition to not shedding enough light on some violations. Al Marri said this report is its first of its kind to be published by an intergovernmental organization the size of the United Nations, where it condemns the siege countries and documents the worst violations of its arbitrary procedures and measures. It also unequivocally affirms that the measures taken by the siege countries are arbitrary and unilateral which also explicitly violate international law and the principles of international relations and human rights conventions. The report also affirms that what happened in the State of Qatar is not only the severance of diplomatic relations but the violations amount to collective punishment. The report added that the violations that the citizens, residents and GCC citizens who reside in the State of Qatar face, are not allegations as stated by the siege countries, but are facts confirmed by conclusive evidence, Al Marri said. NHRC chairman reiterated that the report is an important legal reference which will reflect the diplomatic and legal moves, regionally and internationally. It will also demonstrates the siege countries' lack of intention to alleviate the suffering of the victims, but there is persistence and intransigence from those countries to aggravate the humanitarian situation, he added. Al Marri called on the OHCHR to take further steps on all levels of international human rights mechanisms and the UN Human Rights Council (UNHRC), to raise the issue of the siege's repercussions in the general report of the Secretary-General of the UN, the report of the High Commissioner for Human Rights at the next session of the UNHRC and the reports of UN special rapporteurs to the UNHRC. He also called on the OHCHR to communicate with specialized international agencies such as the International Labor Organization, UNESCO, World Trade Organization and International Civil Aviation Organization in aim to share information and support complaints against the siege countries. In addition, Al Marri called for rapid action to address the issues of siege violations victims and invite the technical mission to visit the four countries, to find out the effects of the siege on their citizens and citizens of the State of Qatar. NHRC Chairman Dr. Ali bin Smaikh Al Marri advised the Qatari government not to accept any solution to the crisis or any negotiations before ending the violations and repudiation of the victims, adding that it is necessary to rely on the report of the technical mission in supporting complaints to the World Trade Organization (WTO), International Civil Aviation Organization (ICAO) and UNESCO. Dr. Al-Marri called on the government to move swiftly in international and regional forums to lift the injustice on the victims and move on the level of the Human Rights Council to present a draft resolution on the repercussions of the siege on the citizens and residents of the State of Qatar to the United Nations General Assembly and Security Council. He stressed the need to resort to the International Court of Justice and arbitration committees as well as national and international specialized courts to bring the perpetrators of inflammatory campaigns, hate speech and calls for violence from the countries of siege to justice, especially the officials of those States for the hostility and incitement crimes which contradict international as well as local laws. The National Committee has monitored and documented all the inciting campaigns carried by the officials of the siege countries to take legal actions thereon. Dr. Al Marri also called on the Compensation Commission to expedite the procedures of litigation and international arbitration, adding that the International Law Office appointed by the commission should rely on the merits of the technical mission's report. He urged the siege countries to deal positively and immediately with the findings in the report of the technical mission of the UN Office of the High Commissioner for Human Rights, to abolish all the unilateral arbitrary measures, respect their commitments in accordance with international human rights law, immediately lift violations, redress victims, allow access to the substantive mission of the Office of the High Commissioner for Human Rights, allow field visits to special rapporteurs and international human rights organizations and to allow victims to resort to national justice to restore their rights, immediately cease defamation campaigns, hate speech and inflammatory calls and to hold those responsible accountable. Dr. Al Marri said that the NHRC will circulate the report to all international organizations and the global coalition of national human rights institutions and discuss, with these organizations, a mechanism to move at the national, regional and international levels. NHRC will also share the report with all parliaments of the world and the human rights mechanisms in the Organization of Islamic Cooperation, the Arab League and the Gulf Cooperation Council. He added that the NHRC will also present the report's findings at the Human Rights Council and the United Nations human rights mechanisms and will follow up on cases with United Nations Special Rapporteurs, in accordance with their mandate, and with some specialized international agencies such as the International Labor Organization (ILO) and UNESCO. The NHRC Chairman pointed that the UN Office of High Commission for Human Rights will hold a meeting with its Department of Special Procedures to hand over the cases to the United Nations Special Rapporteurs, according to their competence. It will also meet with the diplomatic missions of the siege countries to the United Nations in Geneva to inform them of the report. The report of the substantive mission of the Office of the United Nations High Commissioner for Human Rights officially described the measures taken by the siege countries as arbitrary unilateral measures, in accordance with the United Nations definition and standards. pointing that they were unequal and racist and that such measures were not officially reported and had no legal motives. The report stressed that the actions taken by the siege countries do not differentiate between the government and civilians, especially the Qatari nationals, describing that as "dangerous". It also described the economic effects of the siege as amounting to economic wars. Despite the State of Qatar's ability to absorb them, the economic effects on individuals are still large psychologically and materially, the report said. The report also highlighted the negative and dangerous impact of unilateral measures on the population as a result of the incitement campaigns, media defamation and hate campaigns against Qatar, its leadership and people, adding that most cases affected by the current situation are unresolved and the situation of the victims is likely to continue and worsen. Meanwhile, the report praised the positions of the Government of the State of Qatar, which did not take retaliatory measures against the nationals of the siege countries lauding Qatar's role in the search for solutions to the worsening humanitarian cases of the victims. The report referred to numerous violations such as hate speech, incitement and restrictions on the freedom of expression by the siege countries, as well as violations of the rights to freedom of movement, communication, religious observance and family reunification and the impact on economic rights, the right to property, health and education. 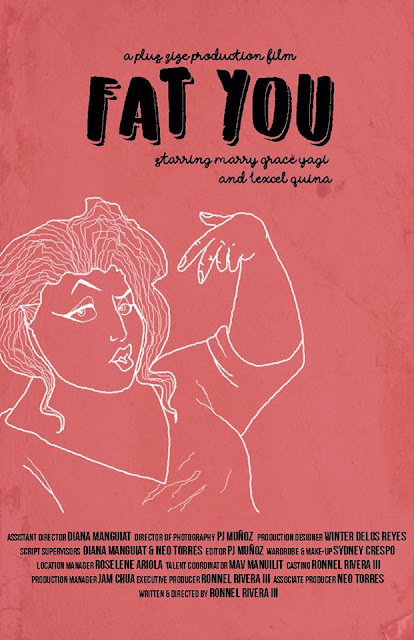 Fat You, a short film made by third year college students from Far Eastern University, won first prize in the 19-21 age group (Further/Higher education) category of the inaugural Manila Student Film Festival held last January 16 at the International School Manila. 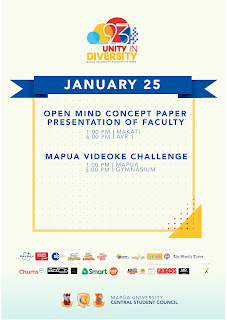 Written and directed by Ronnel "Thirdy" Rivera III, the winning short film tells the story of a fat girl who is afraid to show up in her class reunion after being bullied by her former classmates because of her physical appearance. 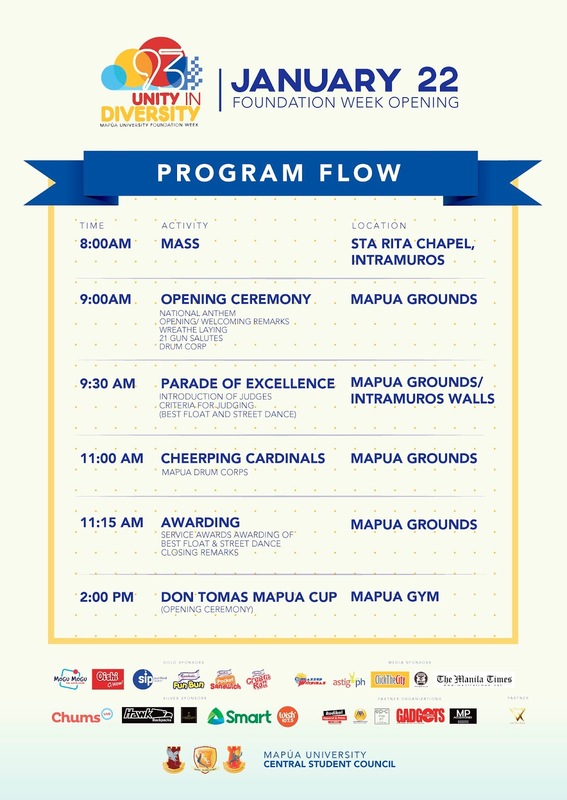 In his acceptance speech, Rivera thanked the organizers for initiating the event. "It lets us express ourselves through films." The winning filmmaker also reiterated his film's message. "Our film 'Fat You' is for all the fat people not only in the Philippines but all over the world. Let's fight fat-phobia," he stressed. The Plus Size Production film stars Marry Grace Yagi and Lexcel Quina, with support from Robby Delgado, FEU Theater Guild actor Ron Christian Alos and FEU UAAP Season 80 courtside reporterSydney Allison Crespo, among others. Rivera also got the able support of director of photography and editor Pj Muñoz, production manager Jamilla Chua, production designerWinter Delos Reyes, assistant director Diana Manguiat, associate producer Neo Torres and location manager Roselene Ariola. Fat You bested three other finalists in its category, namely Batang Hamog by Eluigi Macalintal fromDe La Salle-College of Saint Benilde, To Be Determined by Lukas Fiechter, Brian Molloy and Alejandro Minana from ISM, and Ligaya by Migui Baluyut, Jahia Roces and Risa Murayama from Singapore School Manila. Meanwhile, the public service announcementWorld of Plastic by Roland Swank, Julian Benedict Alguno and Miguel Caballero from Cebu International School bagged the top prize in the 8-11 age group (Junior/Elementary). In addition, the short animation Fresh by Eve Hartley from ISM won in the 12-14 category (Middle/High school) while "Sorry I'm Late" by Agnes Roche, Carmel Limcaoco, Reed Santos and Bruno Cote Rodriguez, also from ISM, topped the 15-18 age group (Senior/High school). 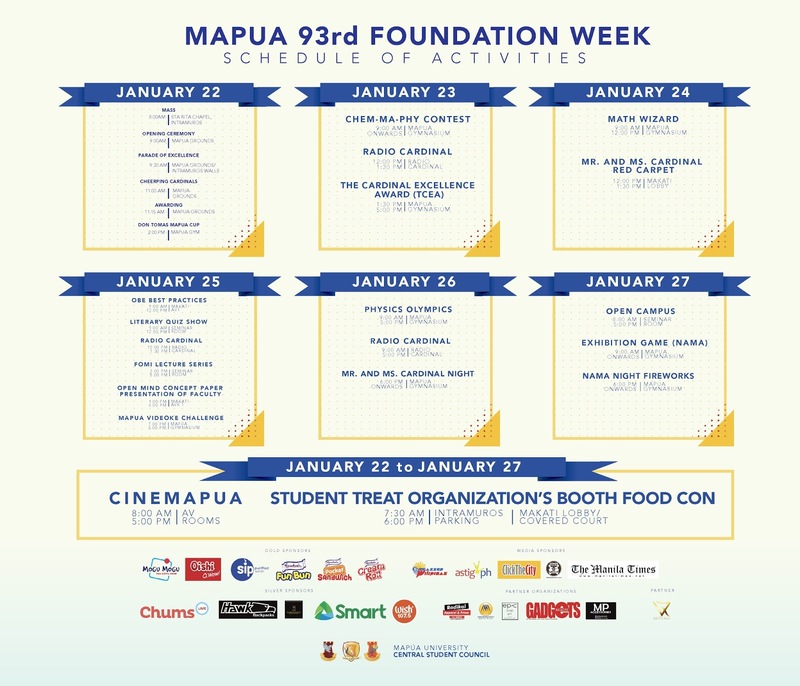 The Manila Student Film Festival, which is open to students who are currently enrolled in primary/junior, high schools, senior schools or colleges throughout the country, aims to celebrate "the creativity of young filmmakers in the Philippines by providing an audience for upcoming talent and inspiring the filmmakers of tomorrow to create films now." Manila-based Italian director, cinematographer and editor Andrea Capranico and Filipino director, animator, film editor, sound recordist and art director Ricky Orellana served as judges. Afternoon bites. 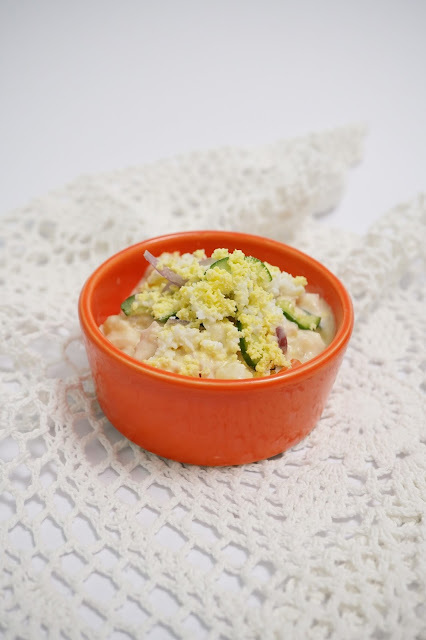 Whether you decided to take an early lunch or put off eating until later, you might find yourself getting hungry not long after noon. 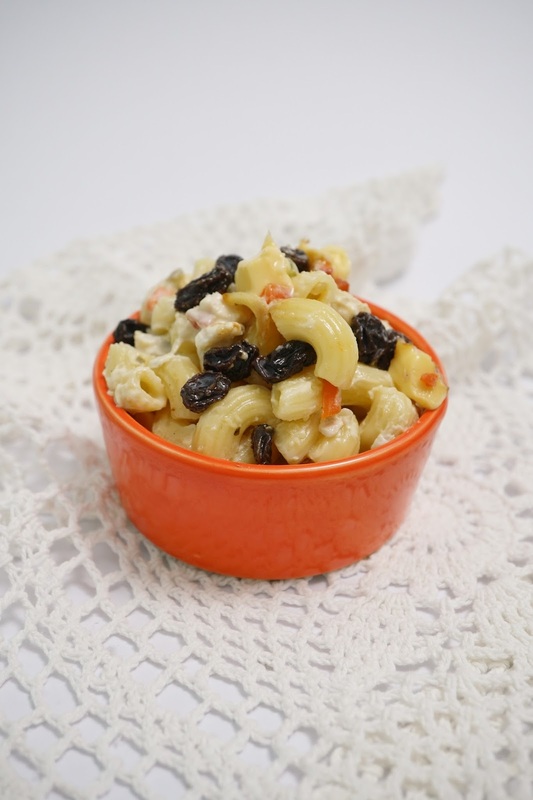 Drop by FamilyMart for a healthy serving of Chicken Macaroni Salad at P39 or Potato Salad at P39 and fill up without worrying about going over your calorie count. 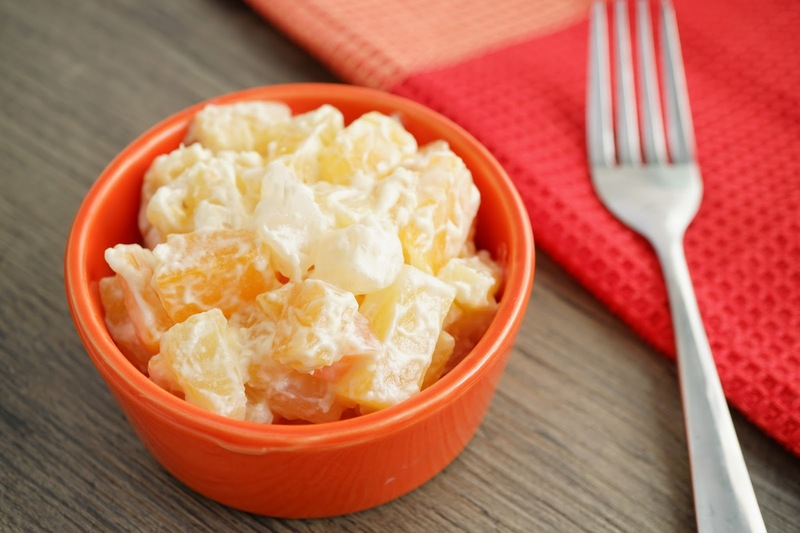 If you’re also prone to having dinner late, be sure you have something to eat mid-afternoon. As announced at the January 17 media conference, Stan Lee of Marvel Comics is coming to Manila to be among the special guests at ComicCon Asia 2018. The comic convention will be held in SMX Convention Center at Mall of Asia complex in Pasay city on March 24 to 25, 2018. The event promises to be the biggest convention of its kind. 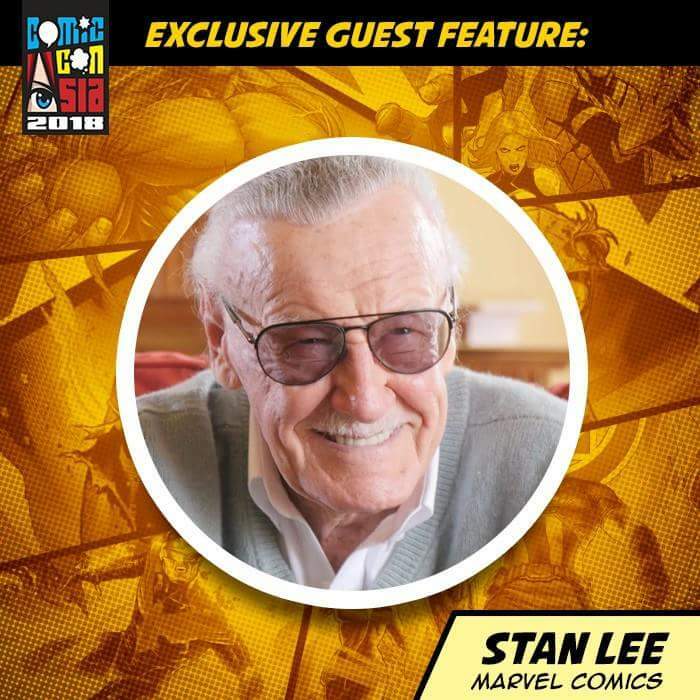 Stan Lee alone would definitely fill up the venue for every comic book and Marvel fans out out there would not dare miss the opportunity to personally meet the man behind so many amazing comic book characters. Stan Lee recently denied reports claiming he groped or sexually harassed home care nurses. I couldn't believe the news as the idol of many is very unlikely to ruin his sterling reputation. Almost everyone knows the man so any untoward behavior should have been confined in privacy. We do not really care about what he does in his private life, but it seems wrong in all levels that he should a 95 year old man should be subjected to humiliation. Maybe they just want to extort money from him. The accusations against Stan Lee have me deeply depressed. Personalities are all just people. He’s so bright and funny and optimistic and creative... but he’s flawed too, like everyone else. He's too old and doesn’t have long left to be subjected to such controversial issue. Is this how we say goodbye to Stan Lee? 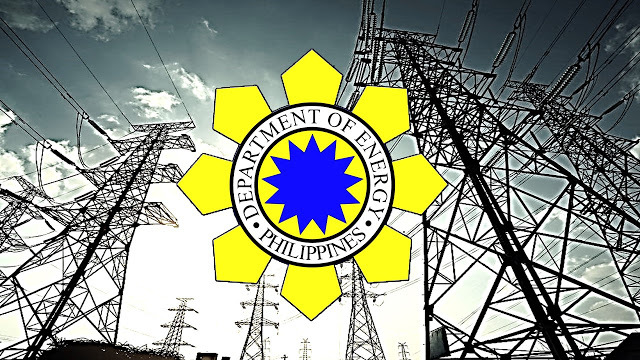 Department of Energy Secretary Alfonso G. Cusi today said he called for a meeting with distribution utilities in order to discuss the effective and appropriate implementation of the power-related provisions of Republic Act 10963, otherwise known as the TRAIN Law. Specifically, the major items that were discussed are the adjustments due to: (a) the value-added tax (VAT) on the transmission sector; (b) the value added tax on the Cooperative Development Authority (CDA)-registered electric cooperatives; and, (c) the excise tax on coal and diesel that are used to fuel power plants. Thereafter, another meeting was organized which included representatives from the Department of Finance (DOF), Energy Regulatory Commission (ERC), National Electrification Authority (NEA), National Power Corporation (NPC), Philippine Electricity Market Corporation (PEMC), Philippine Rural Electric Cooperatives Association, Inc. (PHILRECA), Manila Electric Company (MERALCO) and Pangasinan Electric Cooperative I (PANELCO I), which is a CDA-registered electric cooperative. "We will look into coal contracts and scrutinize provisions as to whether there is a provision on pass-on on excise tax," Cusi said. The Energy Chief said the meeting would also examine the submissions of coal-fired power plants to the Electric Power Industry Management Bureau. 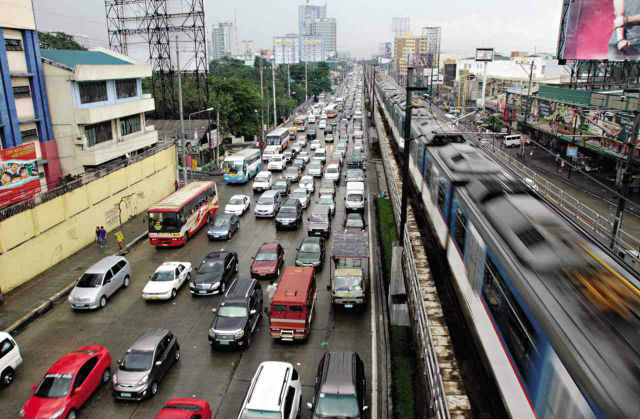 "Corollarily, the DOE has directed all distribution utilities to require from their power suppliers the basis of any additional charges that may emanate from the Train Law. This Includes the explanation on the implementation of excise taxes vis-a-vis the minimum inventory requirement for both coal stocks and diesel stocks," Cusi pointed out. The DOE meeting with various stakeholders aims to clarify the salient provisions of the TRAIN implementation in the energy sector and to gather feedback from them on issues and concerns they may have on the first package of the Duterte Administration's landmark tax law. The DOE and the DOF agreed on the next steps to address the concerns of the energy stakeholders and the protection of the energy consumers. “The ultimate objective of the Train Law of consumption-to-investment, better infrastructure and social services for the people will be achieved with this strong collaboration between the DOE and the DOF,” Cusi concluded. Since Mayon volcano is acting up again and threatening to erupt in the next gew days, it seems fit to share this "alamat" that most Bicolano residents know. But when Pagtuga knew about the relationship between Panganoron and Magayon. Pagtuga kidnapped Magayon's father, Makusog, and asked Magayon to be his wife so he'll set Makusog free. As Magayon runs to her lover, there is an arrow shot by one of Pagtuga's warriors that kills Panganoron. Magayon holds Panganoron as he dies in her arms. Pagtuga's warriors surround the lovers as Magayon stood up and took the knife from Panganoron's side and shouted Panganoron's name before she stabbed herself. Her father and tribesmen witnessed how Magayon died with her lover. 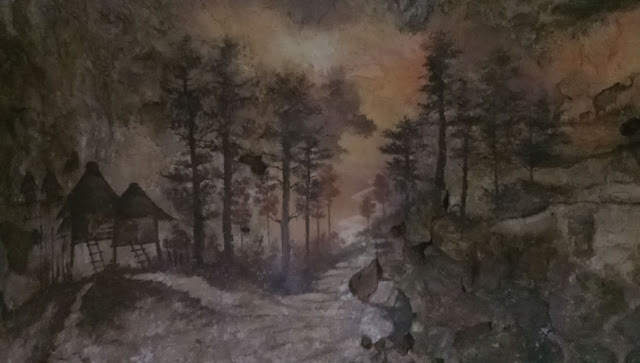 Her father buried them as days, months, and years passed when they noticed something about the place where Makusog buried the lovers. It started to shape like a volcano and when the people saw it, Makusog named it Mt. Mayon, after her daughter's name. Mt. Mayon is as beautiful as Daragang Magayon. Some people said that it's a curse because she took her own life, but myths and legends said Magayon is the volcano and Panganoron is the clouds that surround the beautiful volcano.